began searching for an internship, I knew only a couple of basic things: I wanted to work in healthcare -- more specifically healthcare technology, I wanted to be in Maryland, and I wanted to try something outside of my biomedical engineering major. After some research, I stumbled upon Purview’s website and, after looking deeper into the company, I realized that this position was exactly what I had been looking for. Purview is a healthcare technology company (✓) in Annapolis, Maryland (✓), and the open position was for an inbound marketing intern (✓). I was excited by the idea of trying my hand at marketing while still remaining in the field of healthcare, and I eagerly submitted my application materials. 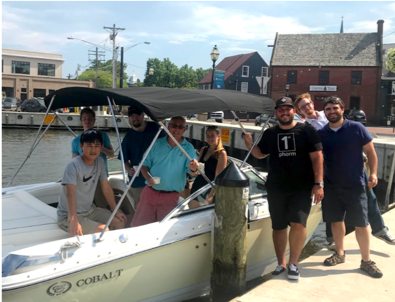 After completing the interview process and eventually accepting the offer, I began to complete some training courses to learn the basics of inbound marketing so that I would be ready to start full force in June when I moved down to Annapolis to start. On my first day at the office I not only got to meet the team and learn more about the company’s values and goals, but I also got to start working on my first campaign! This involved learning how to use WordPress to update the website pages and HubSpot to send emails, write blogs, and create sales pipelines. I was able to learn by doing, and see what worked well and what didn’t, so that I could better the methodology for future campaigns. Through my day-to-day tasks, I was not only able to strengthen my marketing skills and learn more about each of our products, but I was also able to learn and observe other aspects of the company. By the end of my internship I had the opportunity to take part in the release of Purview’s newest service -- cloud storage for Horos! I learned so much from my co-workers throughout this process and was able to gain skills in product development and sales. Although I was initially hired for an inbound marketing intern position, Purview allowed me to learn and experience so much more than that. Purview exceeded my expectations both inside and outside of the office. I was respected as a full-time employee, not just an intern, and felt that all of my opinions were truly valued. I learned so much during my eight weeks and also saw the impact that my work had on the company. I did not expect a small company to come with so many benefits and have such a great work culture. I was pleasantly surprised. 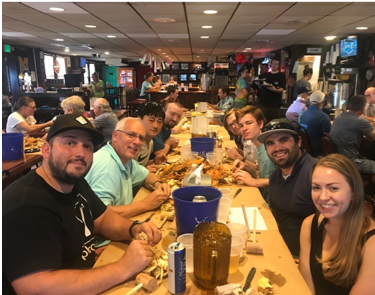 Throughout my eight-week internship, we had many company outings including a boat trip to Cantler’s, an Orioles game, duckpin bowling, and my personal favorite-- weekly sailing races. My internship with Purview was certainly a summer to remember! Interested in a summer internship with Purview? Apply here!